Note that WWF stopped being primarily a defender-of-wildlife years ago – they are now a multimillion dollar environmental lobby organization that spends a large percentage of its donations on further fundraising. 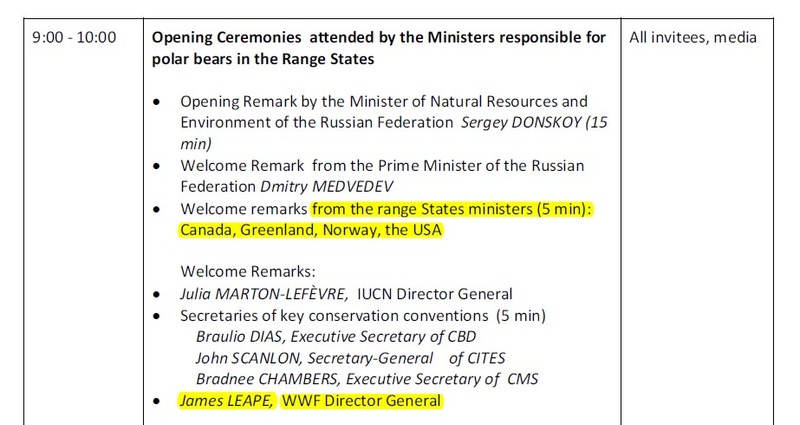 I’ve discussed previously the WWF infiltration of the IUCN Polar Bear Specialist group ( the official “scientific advisory body to the Range States,” see the Meeting of the Parties attendee list below), see posts here and here. 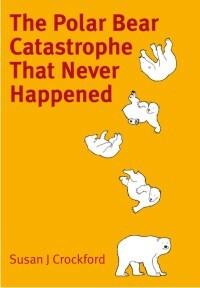 I hope this helps you put the upcoming news reports in some kind of perspective. 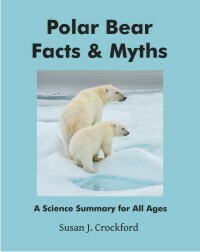 [Update Dec. 4, 2013: Note on the final agenda, Eric Regehr, US Fish & Wildlife Service, will present the Bayesian network models (with the flawed assumptions) that predict a decline of 2/3 of the world’s polar bears. 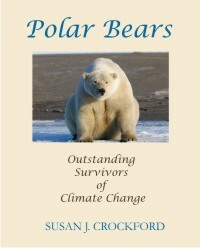 Steven Amstrup, spokesperson for Polar Bears International, will stand with Chairman Dag Vongraven, to represent the IUCN Polar Bear Specialist Group views. 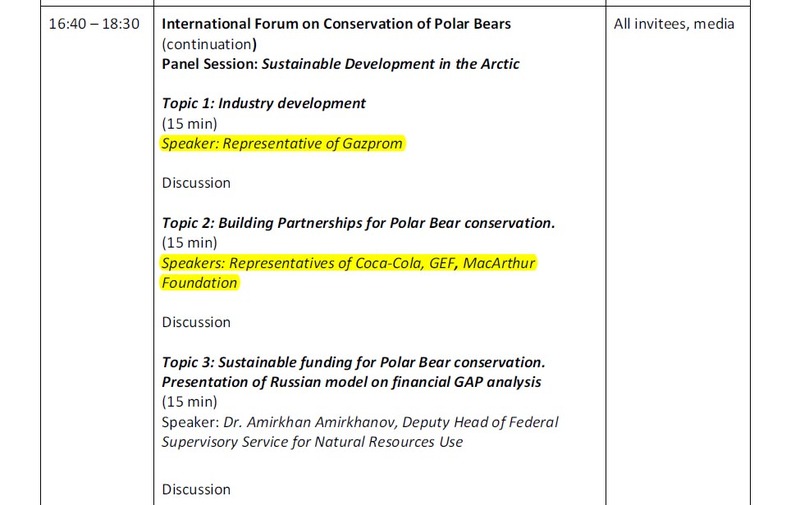 This entry was posted in Advocacy, Conservation Status and tagged Circumpolar Action Plan for Polar Bear Conservation, Coca-Cola, conservation, Environment Canada, Eric Regehr, Geoffrey Haskett, Greenpeace, Leona Aglukkaq, meeting of the parties, oil money, polar bear, polar bear forum, Steven Amstrup, US Fish and Wildlife Service, WWF. Bookmark the permalink.